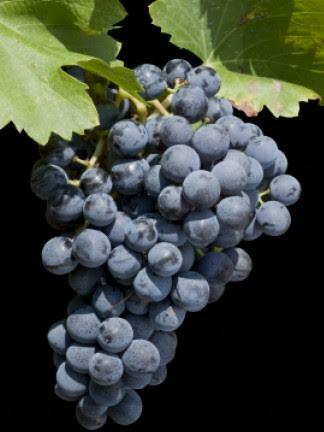 Grenache – which if the wine world were fair we’d call garnacha, as it is a Spanish variety, though best known for its voluminous occupation of southern France – has been in the Cape for a century or so in small way. Only in the past dozen or so years, however, has the variety become a significant (even fashionable) part of the Cape wine revolution, in both its white and black forms. There’s a lot more grenache noir around than blanc, with a few dozen varietal bottlings, including some prestigious ones from the likes of Badenhorst, David & Nadia (Sadie), Neil Ellis, Sadie Family, Tierhoek and Vriesenhof. The most sought after (and occasionally fought-over) Cape grenache comes from the lovely Piekenierskloof area in the Olifantsriver district, where it is best established, but new plantings are happening everywhere, especially in the Swartland, where the grape has been particularly warmly embraced. White mono-varietal bottlings are rarer – the most notable are those of The Foundry, the fine own-label of Meerlust winemaker Chris Williams (plus wine-partner James Reid), and KWV’s Mentors range. Of a new challenger to them, more below. But it was the effect of grenache noir as a blending partner that I was particularly struck by at Saturday’s unsurprisingly impressive public tasting in Malmesbury of the Swartland Independent Producers (SIP) – despite the undoubted greatness of David & Nadie Sadie’s David Grenache (not available for tasting). The David Elpidios has grenache in a subsidiary role, which is much more typical of Swartland blends, where it frequently accompanies syrah, cinsaut and carignan. Never more delicately and elegantly, though, than in the David – matched, however, in this respect by the Rall Red, where syrah is in a more substantial majority. Both wines highlight the fresh gracefulness that allows grenache to be sometimes dubbed in France the “pinot noir of the south” (even though it can produce fruit bombs, and powerful, muscular reds in grenache-based blends in Châteauneuf-du-Pape). It always pleasantly amuses me that David Sadie and Donovan Rall are surely the two most towering, large-framed men in Swartland wine (they could scrum down together very satisfactorily I’d guess) and yet make amongst the most refinedly delicate of Swartland wines. A word though, for many other red blends made according to the non-interventionist, terroir-respecting SIP guidelines. Including Badenhorst Red – the 2014 is the best yet of the flagship blends from this fine house. Winemaker there alongside Adi Badenhorst is Jasper Wickens, who also makes smallish runs of utterly delightful and fresh but deadly serious wine for his own admirable label, Swerwer. I chatted to both Jasper and wholly supportive Adi about the former’s future at AA Badenhorst winery. Slowly, but unhurriedly, it seems, Jasper will build up his independent winery (he’s renovating an old cellar on a nearby grape-farm owned by the family of his fiancée, Franciska) and will do less at Badenhorst; but no change for a while yet. As to grenache blanc, the variety gives me no excuse to mention the Mullineux White Blend 2014 (chenin, clairette, viognier and semillon gris have to manage alone) as the standout white of the 2016 SIP tasting, so I won’t. And for a concluding varietal white grenache I’ll move away from the Swartland, up north to Piekenierskloof, which provided the grapes for Donovan Rall’s maiden Grenache Blanc 2015. As I couldn’t be allowed to sample this produce of foreign soil there in Malmesbury, Donovan slipped me a bottle as I was leaving (the rock music was ramping up the volume – I suspect it was a mechanism to prompt old curmudgeons to move to the exit). It’s a rather good wine, if not with great intensity and length – worth seeking out, though only 1200 bottles were made, apparently. The finesse I’d expect from its light-stepping blond giant vinifier, and a mineral freshness. The stress is not on fruit, though there’s also no overt oxidative quality, nor any funkiness from the time spent on skins; for me the dominant aromatic and flavour character was something between white pepper and pickled ginger – with a few white flowers thrown in. Great grape, grenache, in black and white. Tim James is founder of Grape.co.za and contributes to various local and international wine publications. He is a taster (and associate editor) for Platter’s. His book Wines of South Africa – Tradition and Revolution appeared in 2013. Also showing well on Saturday were the Shiraz’s especially the aromatic Fram 2015 and Porseleinberg 2014 which is more relaxed than previous vintages and which Callie accounts to the vintage conditions. Swerwer Red 2015, is pure, more serious than before and for me the best yet from Jasper. Adi’s Ramnasgras is a very classy Cinsualt and less tutti-frutti than many other examples I’ve had and his Family Red is restrained and classic. My favourite white without a doubt is Ryan’s personality-packed Smiley Chenin with its herbal savoury edge. Long live the Swartland! Have you tried the FIDES GRENACHE BLANC from Bosman Family Wines? If not, well worth a taste!! No Joanne I havent had the Bosman version, but will endeavour to – thanks for the pointer to a wine I didn’t know of. Interestingly, today I tasted what must be the first varietal grenache gris (the pink-skinned mutation) in the Cape – from the Skinny Legs label of Kyle Dunn (another winemaker at Badenhorst), a most attractive peachy-orange-pink wine with both strength and delicacy. And I’m happy to second Hennie’s enthusiasms. The Porseleinberg, for example, was undoubtedly one of the real standouts of a splendid array of Swartland wines. I should also like to add that I have this evening been musing further over the Rall Grenache Blanc – which has benefitted greatly from being open for a day, and is tonight more expressive, intense and generous. Hi, Tim. I think Fram might have been first with a varietal Grenache Gris, released towards the end of last year? I look forward to you reporting on the Fides. A friend of mine loves the wine and since then I’ve been told by a well-known wine critic that he believes it’s the best skin-contact SA white out there. I only have one bottle but my gut-feel moves me to mature it for a bit longer.